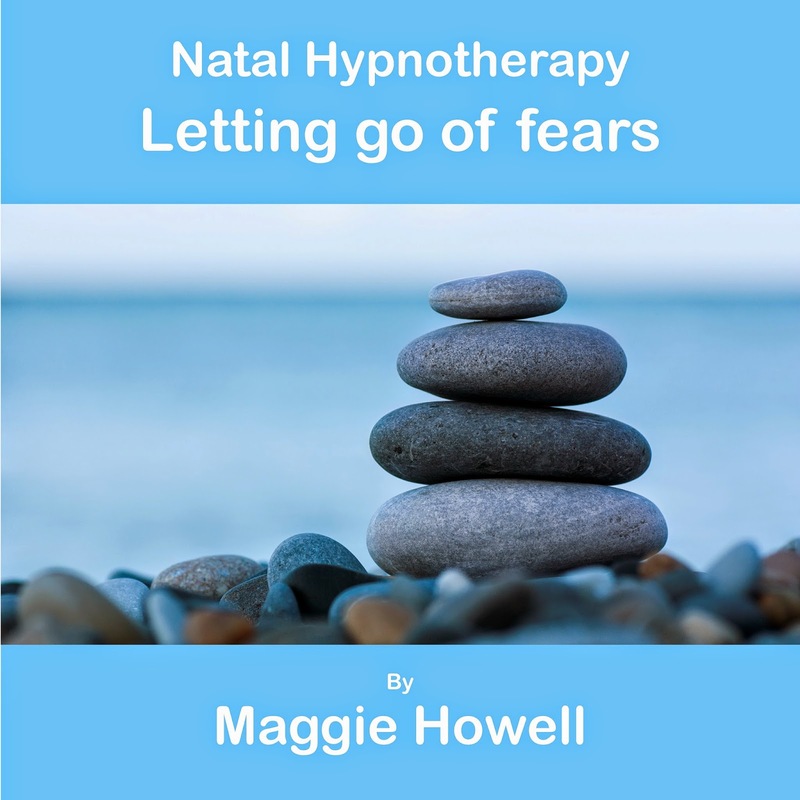 I was contacted on twitter the other day by a lady who had listened to the Natal Hypnotherapy tracks as preparation for her birth. 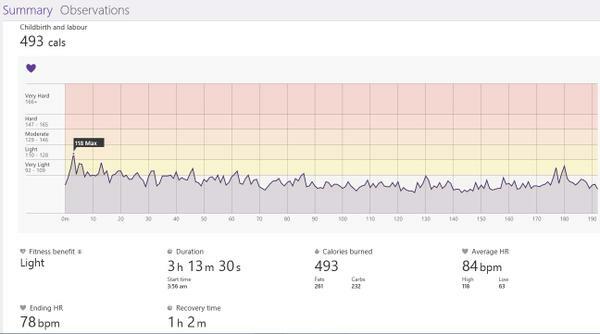 After the birth she posted this incredible image of the tracker report from her Microsoft Band which she put on at the beginning of her home birth. What we can see from this is the trace of her heart beat, expended energy and duration of labour. The most striking thing is that throughout her labour her heart rate actually went down apart from a tiny increase during the birth. Her heart rate and level of energy expenditure where high in the beginning (what we term the excitement phase) when she was probably still more active and understandably super excited that she was going to have her baby very soon. As the labour progresses she begins to slow down her activity, relaxing deeply and only experiencing an increase in heart rate during contractions. This shows so clearly that staying calm, relaxed and focused means you expend less energy and put less strain on your heart. She burned a total of 493 calories which is the equivalent of playing golf for an hour and a half - a far cry from the Google stimate of an average labouring women burning 50,000 calories! c) they have over come any fears or worries so that they have little or no adrenaline which can cause tension in muscles. d) They completely trust their bodies to know exactly what to do and so are not "fighting" the labour in any way. Mum Jen said "This is the third birth during which I have used your Natal Hypnotherapy and all my birth experiences, while all vastly different, were amazing, empowering and life-defining. Paul had given me the Microsoft band for my birthday a week earlier and we had talked about using it during labour then. This was also related to an article I read about the lack of female input on technology development in Silicon Valley. While the Microsoft band is fully kitted out to support a round of golf- there aren’t any functions related to pregnancy, childbirth or postpartum experiences like breastfeeding for example. So I wanted to record my labour and share it with Microsoft in the hope it would catch an eye and perhaps other people would use their bands to do the same. Obviously, my data is pointless without other data to compare it to. Wouldn’t it be amazing if a woman, not using Natal Hypnotherapy (or similar) recorded her labour experience? I wonder if her heart rate would spike higher, or build over time (as opposed to mine). If the data would show how much ‘harder’ labour is physically if you are fearful or even the body’s response to the use of other forms of pain relief? So, I would love to get the word out and encourage other women to record their experiences and perhaps, even to influence the Microsoft Band’s development." Would you consider using a band like this to monitor your physical responses during labour? I would love to know if you used anything like this and what the reading was. I have asked Jen to be my next guest blogger as I think her birth stories are really inspirational so click "join this site" to read that in the next few days. When I got out of the shower this morning and put a newly washed towel to my face, the smell of the towel suddenly took me back to my grandmother’s bathroom. Bizzarely, I have not thought about her bathroom for years! As I stood there remenisicng for a few moments, it reminded me of just how powerful our sense of smell is as a trigger for memories and emotions. So when preparing for birth you can actively start to create these triggers by using all your senses in the lead up to the birth which will give you a heard start to staying calm relaxed and focused. 1. Smell – start burring oils like lavender or rose when you are relaxing in the later stages of pregnancy. This works especially well when listening to your hypnosis recordings. By doing this at least 7 times in the weeks leading up to the birth, your mind will automatically make the association of the smell and your physiological and mental state of relaxation. In addition familiar smells increase the production of the fabulous birthing hormone Oxytocin. 3. Touch – so many of us instantly relax when we feel someone’s hands begin to massage our shoulder or when we have a bear hug with a loved one. Touch can feel so safe and reassuring. You can practice this by asking your partner to place his hand on your shoulder when you are relaxing in the bath or at times when you are listening to your MP3. Again you will begin to associate the touch with the physiology of relaxing. 4. Visual – Isn’t it amazing how looking at an old photo of your wedding or a holiday can immediately bring about feelings and memories? Again you can use this trigger by putting up photos around you of places and times that made you feel really happy and relaxed. Keep these with you so you can use them as a visual trigger to help you relax and refocus. You can even bring in objects like a babygrow as a reminder of what you are working towards. 5. 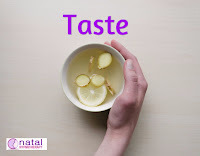 Taste – this is not such an obvious one but you can still use this sense to help you stay calm and focused. In the lead up to the birth have a glass of a favourite drink. As you take a few sips, close your eyes, breathe deeply and really enjoy the taste in your mouth. Relax your shoulders and being to imagine being somewhere really wonderful, really relaxing. Then take another sip and make the feelings and images even brighter, even stronger. Do this every time you are about practice your hypnosis. The taste will soon become another trigger for relaxation and calm. Then during labour when you have a few sips of the same drink go through the same exercise and the relaxation and calm will automatically follow. 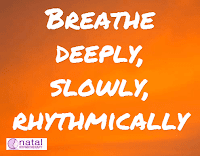 1.Breathing effectively is key – Sounds easy but unless you practice focused breathing, it can be hard to use your breath well on the big day. 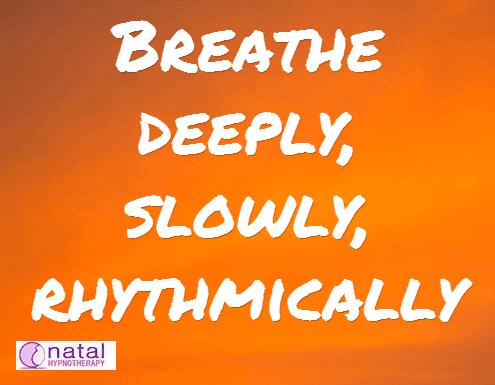 Practice taking long slow, deep breathes – imagine breathing the air right down to your baby, imagine the air going into and around your baby and then breath out long and slow. Do this at night in bed, in the bath or even on the train or bus – any time when you have a minute of two. 2. 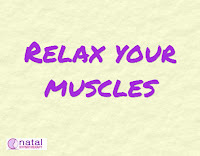 Relaxing your muscles – if you are tensing up in any way, the contractions will be more painful – like if you tense up for an injection. 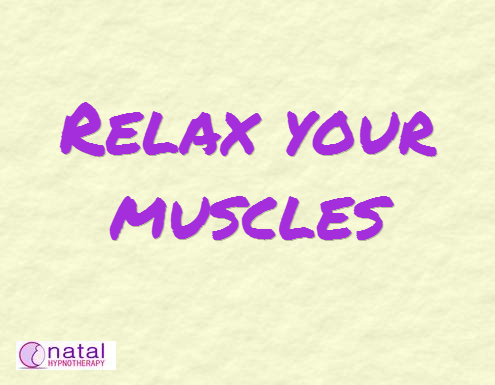 Practice noticing any tension in your body then actively relaxing those muscles. Focus on your jaw, your shoulders, your hands and your lower back. Even sitting at your desk notice and tension and then release it. 3. 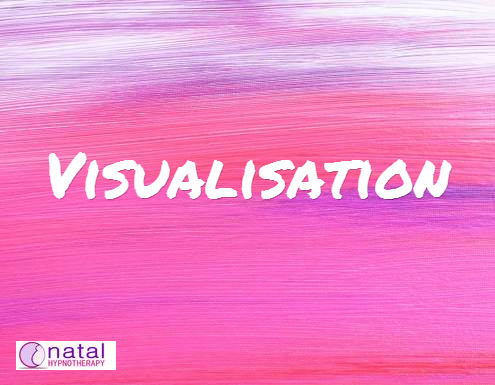 Visualisation – the brain is amazing at diverting your attention. By imagining yourself in a wonderful place - a beach, a garden, on a mountain you are able to distract yourself from what may be going on in your body. An extra bonus is we tend to relax more when visualising so double whammy! Think of some of your favourite places now and write them down so you can refer to them or your partner can on the big day. 4. 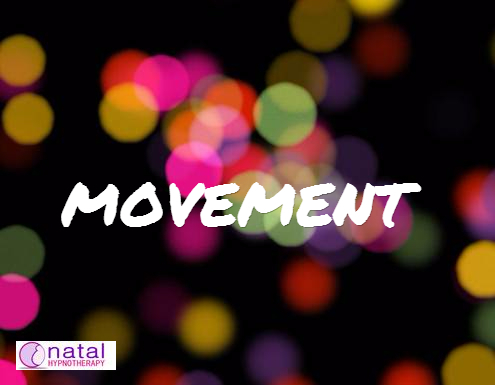 Movement – gently swaying or rocking can help to ease any tension in the muscles, release lactic acid build up, increase blood flow and make space for a baby to move down. Using a birthing ball in the last few weeks of pregnancy as well as during the birth is really beneficial as you can do all those things in a comfortable, safe, and supported way. This also helps strengthen the muscles in the perineum. 5. 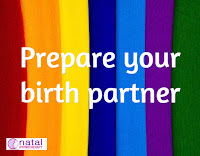 Prepare your birth partner – if he is feeling relaxed and confident and knows what you want and how to help you achieve that, then he is going to be one of your best assets. If he is worried, panicky etc he will project that onto you – not great. Go through your plan, practice breathing together calmly, rhythmically so that he can match your breathing, practice lower back massage, tell him your visualisations – all this will give you both more confidence to put them into practice on the big day. 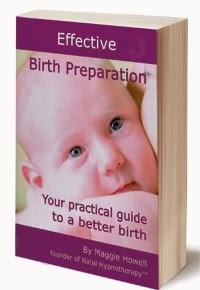 You can also get your free "5 steps to a Better Birth Poster"
Reasons why I think every couple would benefit from doing the Natal Hypnotherapy course and why it is so bloody marvellous! Having just spent the weekend with some fab trainee practitioners and a lovely group of expectant couples it has really reminded me just how special and truly amazing the course is. I have been teaching and developing Natal Hypnotherapy for 14 years and even though I passionately believe in everything that I teach, I sometimes forget what it was like to be an expectant mother who is looking for support, reassurance and truly effective guidance which leaves them fully prepared rather than scared of giving birth. It is 15 years since I felt like that myself and at the time I did not get the kind of reassurance and positivity that I desperately needed. It was only when I discovered how to use this concept of hypnosis, followed up by my own reading and research, that I realised what I really needed was already within me - it was just hidden under this heavy blanket of cerebral information laced with tinges of fear and anxiety!. Since then I have learnt so much about how the mind and the body works and so much about how women’s fear impacts their thoughts, emotions, their reactions and the physical functions within her body. Knowing how incredibly detrimental this fear can to the birthing process, it makes me so sad and angry that we as a society have somehow allowed so much fear to creep in, in fact in many ways we have encouraged this to happen. And yet given the right information, the right support, really positive, effective and simple tools and techniques and ultimately the confidence to trust their body, all women and their partners can dramatically reduce this fear and anxiety. This in turn massively increases their confidence and ability to work with the body to allow it to do what it was naturally designed to do. And what is even better news is that all this can be achieved in such a short period of time. Having spent these two days with these wonderful couples, it has been a privilege to be part of their journey watching as their fears begin to dissipate, their trust begins to increase and their confidence in themselves and each other grow stronger and stronger. And yet none of this is rocket science - all of this is done using plain, down to earth language by rekindling a connection back with the absolute basics of mammalstic birth, connecting back with the power of breathing, experiencing the sensation of deep relaxation and bit by bit, building up their confidence and belief in their innate power and ability to trust their body, accept the sensations within in their body and so give ultimately flow through the process of giving birth. 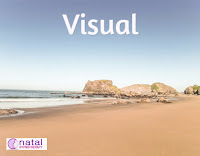 The way the Natal Hypnotherapy course has developed and progressed over the last 10 years has ensured that the teaching style appeals to all learning types, that so many of the techniques we teach are personalised so that each couple really owns and connects with the tools, from writing their own hypnotic suggestions, visualisations, affirmations, to creating their own personalised birth preparation plan. And this starts before they have even walked through the door, as each of them complete a detailed questionnaire prior to attending the course so that the practitioners are able to address their specific concerns and needs during the two days. I feel particularly proud about the way the course helps the birth partners. I have always felt strongly that men are often thrown into the birthing room a bit like the gladiators to the lions. They are expected to be there and they are expected to know how to support their partners and yet without a true understanding of the basics of birth physiology and emotions especially anxiety and fear, it is so hard for man to support his partner effectively. The course is so geared towards helping men understand the impact that fear and anxiety can have on the birthing process, so by knowing why this happens, the signs to look out for and most importantly, effective ways to easily help her overcome them and return to a relaxed state he is far more able to provide the kind of support that will really help her. It is always such a joy to see the lightbulb moments when fathers really see and experience how effective their support is going to be on the big day. One of the best moments of the course is towards the end when mothers write up all the things they would like the fathers to do to support them and the fathers right up all the things they are going to do to support her. And what is so lovely is that they now realise they are both singing from the same hymn sheet and they both have such confidence in each other. Unlike most other antenatal courses, the underlying message and teaching centres around the emotional map of labour – understanding this enables both the mother and father to understand the different stages, trust that it is all normal, recognise key signs and use the techniques to overcome the inevitable blips and challenges along the way. I know it is not the done thing to blow your own trumpet, but sometimes it's good to sit back and really appreciate what you have achieved. I know that the course, the materials and content that I've developed alongside the amazing practitioners who have helped teach me along the way, has helped so many thousands of couples. And yet none of this is rocket science, there is no magic formula, there is no magic key - this is just about helping couples to get rid of the fear that has been installed in us through society, media and dare I say it, the medical model of giving birth, and replacing that with a strong belief, trust and confidence in what is inherently one of the most natural events in a woman's. It does not make any grand promises, it is grounded very much in reality as the couples come away knowing that birth can be unpredictable, birth can be tough, birth can be awesome, but also knowing that no matter what happens, no matter where their Birth takes them, they have effective tools and techniques to help them stay calm, in control of their reactions and congruency with any decisions that they need to make. How different birth in the NHS would be if all couples had access to this kind of antenatal course. As the big day of her second birth approaches, it made me think about how I felt with the birth of my second son. I had had such an amazing birth experience with my first son having used hypnosis and really felt the benefits, that I felt a little apprehensive the second time round that I may not have as good an experience. So here are my thoughts that may help the Duchess as well as all of the second time mothers. For any couple getting close to having their baby, it can be quite daunting for them both. For mum as she will be facing one of the most amazing, challenging and powerful expereinces of her life when her body will be flooded with amazing hormones and she will discover a strength and power that she never knew she had. For many men or birth partners, the experience can be very dauting as they do not have the benefit of all those amazing hormones and yet they are expected to fully "be there" and support her. Even though prince William has been through this once, he may still have concerns and worries. 1. Agree in advance what she would like you to do (and NOT do) during the labour. 2. Go through her birth plan so you can fully understand what she does and does not want in terms of intervention and pain relief. 3. Talk through any fears or concerns you have about the birth either with your partner or with a friend. By addressing your concerns now, you will be more able to support her during the birth. 5. Avoid her feeling "observed" - extra people in the room, fetal monitoring, cameras, and videos. When she is feeling observed, she can not fully relax and “let go” – imagine how you would feel having someone watch you doing your morning ****! 7. Help her visualize during contractions by saying one word phrases connected to past holidays, happy memories or places you have visited. It is useful to discuss a few of these in advance. 9. If she likes it, massage the lower part of her back, her feet and her head – if she asks you to stop, do not be offended! 11. Be totally there for her, listen to her and love her – do not judge her or take anything personally. She may act out of character, or say things she would not normally say – what ever happens, just go with it. 12. Be confident and assertive with the medical staff - you are her spokesperson - if they begin suggesting intervention ask, "Is my wife or baby in danger?" If the answer is no, then ask for another 30 minutes on your own to think and come to a decision. 13. If she begins to doubt herself, continue to encourage her even more - it is a sign that you are close to meeting your baby – this is a stage called transition. 14. Bring in something to keep her warm, specially after the baby is born e.g. her duvet, dressing gown or a blanket – hospital ones are not that great! 15. Eat and drink plenty of fluids so you keep up your own strength. 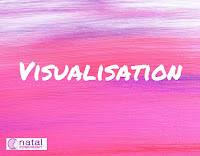 A brief overview on what Natal Hypnotherapy is and how it can help women to be more prepared and less scared of giving birth. 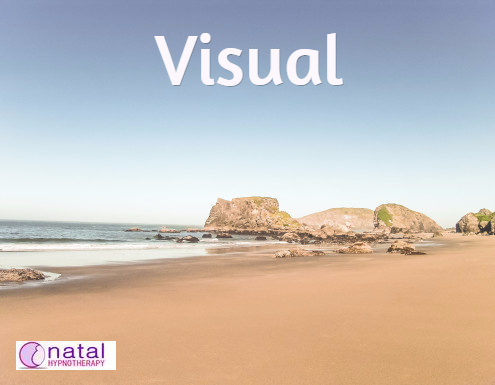 When I heard that one of Natal Hypnotherapy's mothers was going to be on a TV documentary I felt the usual slight trepidation at how she, her brith and her choices were going to be portrayed. Over the years I have become quite cynical about these kinds of programs as usually they are looking for the "entertainment/trauma" value. Women who have chosen to use hypnosis for their birth preparation have been portrayed as very alternative, a bit hippy dippy, and often the editing focuses on the few times when the woman has been more vocal or going through self doubt, so giving the perception that the hypnosis "has not worked". However I was pleasantly surprised and relieved that the BBC program "childbirth – all on nothing" showed a very impartial and nonjudgemental view of the different choices that women make when it comes to childbirth. Also very refreshing, was the positivity of the healthcare professionals in their support of the women. Even if the healthcare professional was not fully in agreement with the woman's choice (free birthing without a midwife), they remained supportive and nonjudgemental. It was also refreshing that three out of the four women had chosen to give birth at home. This is very unusual compared to most birth related documentaries. Not only had the women chosen to give birth at home, but all of them had a very positive outlook on their bodies ability to give birth and felt very confident in their choice, their birth partner and, where applicable, their healthcare professionals support. Only 2 of the actual births were shown and in many ways they could not have been further apart. The first birth was a planned cesarean which showed the medical procedure in great detail, including breaking the waters and lifting the baby out. The second was Kati's home birth using Natal Hypnotherapy. Sadly it only showed about three minutes of the birth, however those three minutes were beautiful, empowering and inspiring. She was so calm, focused and obviously had complete trust in her body and the birthing process. She gave birth in the water in a darkened room where she felt completely safe. Her birth partner and supporting midwives were there for her but gave her the space she needed to follow her body's cues and her instincts. Some people will find the program quite extreme and will no doubt have their opinions on the women's choices, however overall this is a very positive and useful documentary for women who are pregnant and want more information on the choices available, especially as it shows the option of Homebirth as one which is normal safe and acceptable. As for my personal opinion, if a woman is given the right support, there was less fear mongering, more positivity about the body's ability to give birth and increased awareness of techniques to help her stay relaxed and reduce pain, then more women could have the kind of birth experience that Kati had. Her birth undoubtedly was less risky, more healthy for her and her baby and less painful in the long run, in comparison to the woman who chose elective abdominal surgery to bring her baby into this world. "I attended the Natal Hypnotherapy workshop with Sandra in Wimbledon and regularly listened to the CDs throughout my pregnancy. I believe the tools with which natal hypnotherapy equipped me allowed us to have the home birth we desired. I wanted to write to you to directly to thank you as I will always be grateful for the incredible benefits of natal hypnotherapy. There was a slight nuisance to my daughter's birth which I thought it may be worth explaining briefly - my daughter was a breech presentation. Breech was not diagnosed until 40 weeks + 2. I had planned a home birth and therefore this potentially jeopardised this. However, after a failed ECV I spent time researching the area of breech presentation, having been told by the NHS that the only option was a C section. I came across Ruth Atkinson from a google search (and Sandra separately also recommended I speak to Ruth). Ruth had given birth to a breech baby vaginally and she kindly took the time to speak to me and discuss her experience. Ruth put me in contact with Maya midwives who I subsequently engaged to assist with the birth. In short, my experience was that the NHS simply do not have the experience of delivering babies vaginally as a result of (In my view) a now discredited trial study. Therefore, the only option for us was to hire an IM. I also believe the only way for me to attempt a vaginal delivery was if I was at home without hospital intervention and to avoid the NHS policies/guidelines which could, in my view, have significantly affected the outcome. Firstly, I believe I would not have had the confidence to commit to a vaginal breech birth if it wasn't for the skills with which natal hypo equipped me. I truly believe my body knew how to give birth and trusted my instincts. Second, I was able to relax with the benefit of the CDs during the stressful period from the breech diagnosis which I believe allowed me to go into spontaneous labour (at 42 weeks). Third, I was able to have a beautiful home birth with no pain relief, other than a TENs machine and massage. It was an incredible experience. Andrea Barker of Maya midwives mentioned she has met you previously and that a breech CD may be in the pipeline. If you would like my birth story for the website or indeed for any other literature, I would love to spread the word to hopefully encourage more women to make informed decisions for their birth, particularly breech births. Finally, I wish to note that Sandra has been incredibly helpful throughout the latter stages of my pregnancy. We thoroughly enjoyed her workshop in Wimbledon and am very grateful for Sandra's assistance whenever I have asked questions of her regarding issues with the NHS as to my birth preferences, even at ungodly hours of the morning when I have been frantically researching! Also, Ruth has also been a true inspiration and, again, has taken the time to lend her support to me. I think Ruth and Sandra are great representatives of natal hypnotherapy. Thank you for creating such a fantastic product which we will passionately recommend to friends and family."